He may look like a kid in a hoodie, but Bradley Garrett holds a degree in an anthropology and history, a PhD in social and cultural geography, and is about to take up a research post at Oxford University. But away from his lofty academic work, this bespectacled American is a trespasser – “urban explorer” has a nicer ring – who infiltrates abandoned buildings, sewers, bridges and office block rooftops, filming and photographing them to bring these hidden spaces to public view (his work is on show at the Brighton Photo Biennial from 6 October). 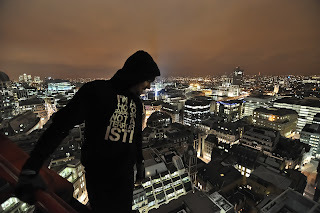 Garrett’s curiosity about what lurks above and beneath our cities has taken him, among hundreds of other places, to the top of The Shard, the drains of Las Vegas, St Sulpice church in Paris and New Court, headquarters of Rothschild Bank in London, where this shot was taken. "I've been to lots of cities, and feel an intimate connection to them, but I couldn't recommend a good restaurant to you. I've spent most of my time underground," he says. 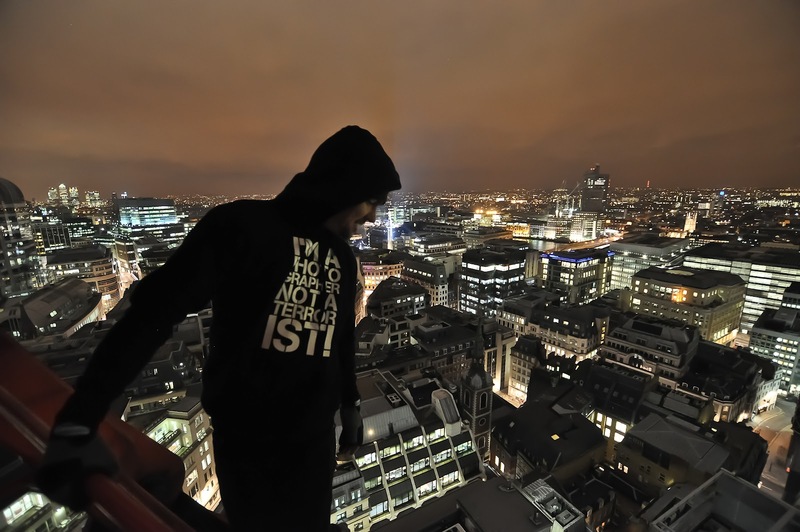 While studying for his PhD at Royal Holloway, University of London – subject: Place Hacking: Tales of Urban Exploration – Garrett and his fellow explorers snuck into steam tunnels under campus and onto the college roof. With names like Winch, Marc Explo, Furtle and Shotgun Mario, they cut undeniably glamorous figures – young, good-looking, dressed in combats and tattoos, kit swinging from their backpacks. Garrett believes we aren’t drawn to off-limits spaces in built environments the way we are in the countryside, where we happily explore mountains and woods. “We’re reacting to increased surveillance and control over urban space,” he writes. “Essentially, we’re trespassing, so in some ways what we’re doing is always illegal. If we're ever caught, we're treated differently depending on where we are. Europe is more relaxed. But in the US, security guards will restrain you, and the police take it much more seriously, whether or not that's justified." Now he’s left Royal Holloway, Garrett hopes students there will continue to explore its hidden nooks. Meanwhile, he is currently “exploring” somewhere in the world until he heads back to the UK in October to take up his research post. Oxford City Council, watch out.